I have had a crazy few weeks of gaming, game writing, and more. As a result, double posts the next few days before I take off on a four day weekend for July 4th. I like seeing developers take chances on new games and new methods of trying to make money with them. I recently reviewed Dust, another free-to-play title for the PlayStation Network that has some good potential, but despite a lengthy beta process, was not ready for prime time. Unfortunately, Spartacus Legends falls into the same category. Perhaps it will smooth out its issues soon, but having spent some time with it last week and again this weekend after its relaunched update, it comes across as incredibly hard to recommend. 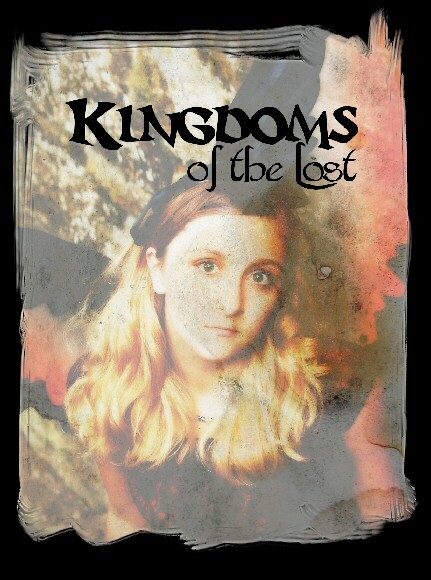 The premise is interesting as it draws from the television show by Starz. 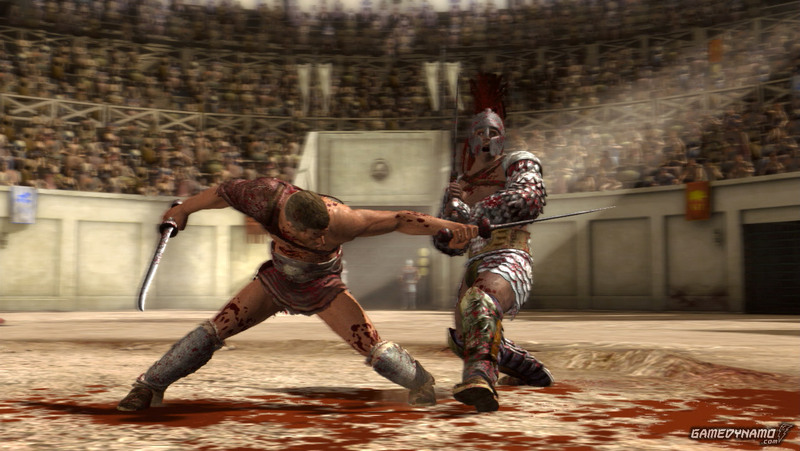 You control a gladiator who does battle with others - primarily online though there are some offline AI opponents you can train against. There are a variety of styles and quite a few interesting ideas as hooks here, ranging from a combatant's physical abilities as well as their equipment. You can earn money in combat, but seeing as this is a free-to-play game, there is of course an option to shortcut a lot of the heavy lifting and purchase money to use in the game. When this first released last week, Spartacus was incredibly buggy. Matchmaking was essentially broken and people dropped out of fights pretty much every time they were losing. Instead of just offering the fixes via a normal update, I got a message over the weekend asking to delete and then reinstall the title completely because numerous bugs were fixed. They even offered me five dollars worth of free in-game currency for the hassle, which I thought was a nice gesture. The combat feels a little clunky compared to more polished fighters, with a block, roll, light and heavy attack set as your primary functions. You can execute enemies at the end of a match for a little Mortal Kombat like flavor (though this has less to do with perfectly timed inputs and more to do with whether or not your gladiator has purchased the ability to do so). However, the game is still had to recommend at this point. The combat is okay, if unspectacular, and the graphics are actually pretty good - especially for a downloaded title. However, as of last night, thing still felt fairly broken to me. I was in one match, winning pretty handily, when suddenly the game just ended - I was kicked back to the main menu. I was already a little bummed about this, but then I logged back in to receive a warning that my gladiator would be executed if I continued to be a coward, or something along those lines. Alright... so apparently it thought it was my connection - even though I remained on the PSN and all of my other devices stayed online. So I went in to adjust some things for my character and... he was deleted by the server. Okay... well, I had all those shiny new coins I had just been given, so I thought I would go ahead and try to set up a new character. I did so, and then logged into the battle queue to wait for my next opponent. And I sat there... and sat there... for about 30 minutes. Then the server booted me back out to the title screen again. 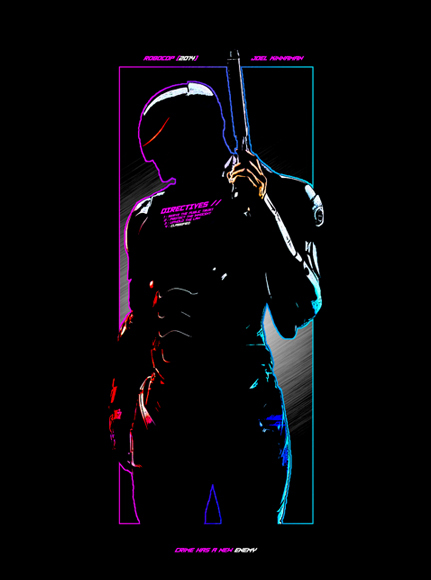 Now this time, my character was alive and well, but I just could not find anyone else to play again. I tried a different venue and played my Vita while I let my PS3 just sit and wait for an opponent. After nearly an hour overall, I gave up and decided I would try again at a different time. So last night I tried it again two different times, about an hour apart, and the server was down. It is a somewhat circular problem for the development teams, I am sure. This is a game with almost no promise of revenue to start, so the budget behind it is pretty minimal. That being said, unless they can show off a functional, polished product, it is unlikely players are going to want to invest their time, let alone their money, into it - even if it is free. 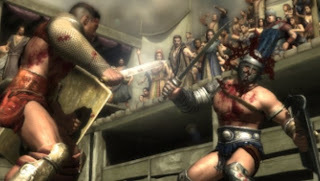 At this point, Spartacus feels more like a broken beta than a real game to me. I know Dust 514 got beaten up a bit over its extended beta program, but at least you have a sense about it that the game will be given a chance to improve and that it is more of a finished product than my experience with Spartacus is so far. I cannot really even put a score to this game - it would be a 1 or 2 at best, mostly on the merits of decent visuals and an interesting premise - but it completely fails to deliver anything of substance. 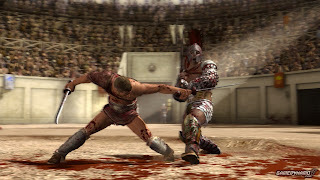 I'm really surprised nobody has done a fully fleshed out gladiator type game, that has really caught on. 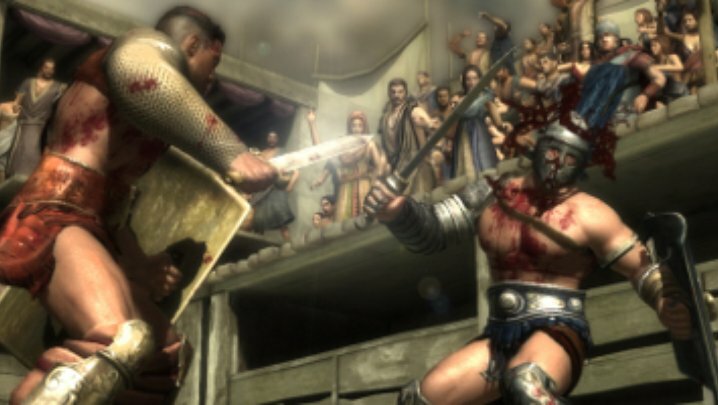 I was looking forward to the game HVS was working on for the Wii, due to the setting and it apparently having some historical aspects in it, but that got changed from Gladiator A.D. to Tournament of Legends. When I saw the first screen, it actually made me wonder if HVS had pitched this to Ubisoft and reskinned it, but I just saw that it was developed by another studio altogether. Agreed - it seems like something really cool could be done on that point, and maybe Spartacus will eventually fill that void. Unfortunately, it feels like this guy got rushed out of the door and it just is not ready for prime time. 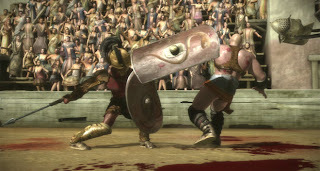 Weapon combat shows up in games like Soul Caliber, but that's a much flashier, fantasy type of game. This definitely goes for a more grounded approach, it's just that the technical difficulties were almost impossible for me to look past and I removed it from my system in favor of other recent PS+ games I wanted to download instead.